Know your tiny house height, and never take clearance for granted. Signs are not always posted. Be confident you can fit, before attempting to pull-up to the pump. It can be a pain in the neck to pull into a gas station. Know what side your fuel tank door is on, so you don't have to maneuver around to another pump. If possible, have your co-pilot look up a truck stop or gas station ahead of time. Sometimes clearance signs are visible in the posted images. Satellite view and images of the station can also help you determine if your rig can fit, and if there are easy entry and exit points. Otherwise, eyeball this before pulling into a station. When in doubt keep driving. Fun fact: Flying J truck stops are our favorite place to stop because they have RV lanes with no overhangs! People will ask you questions. This has led to many great spontaneous conversations. Don't feel bad if you're not in the mood. A polite way to keep an encounter brief: direct he or she to your social media page or website. We continue to share our best advice from our 3-year experience traveling over 47,000 miles with our tiny home. As perhaps the world's most traveled tiny house, we have learned much about how to do it confidently. 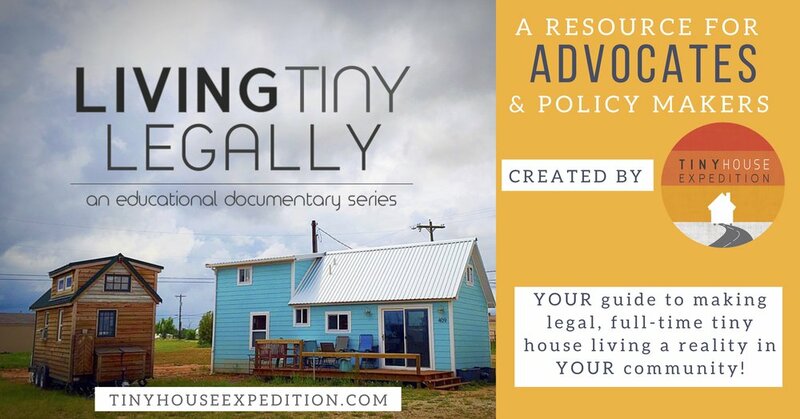 Learn from our mishaps, misadventures and most importantly, all the things we have learned along the way to keep our tiny house and everyone around us safe. You can do it too! Subscribe to our YouTube Channel for more tiny house travel tips and stories from our life on the road.